Radio Waumini FM 88.3 Kenya Live Streaming Online . Listen Over 50 kenya FM Stations Live Online . Enjoy live Stream of Kenyan Music News 24 by 7 Online . 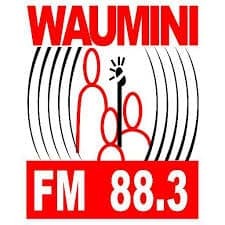 Radio Waumini is a project of the Kenya Episcopal Conference (Catholic Bishops of Kenya) operating under Waumini Communications limited as a company . This station main aim is to promote peace, justice, and understanding for the integral development of Kenyan society . Also it tries to inform the public of current events , through news and current affairs programmes , so that they can keep up to date . Kasarani , P.O. Box 1373, 00600 Nairobi , KENYA .